Prior to today's update of the eBay app for Android, users could only bid on an item and watch as the auction progressed. Now, the updated app allows both pros and casual users of the auction site to list an item for sale. The whole app is so intuitive that it takes less than a minute to complete a listing. A barcode scanner can be used to get information from the item that you are putting up for sale. A feature called "Sell one like this" allows the casual user to create a listing based on a similar product up for bids. You can also schedule the time of the start and end of an auction and contact the buyer. Now eBay users can handle either side of a transaction while on the go, giving many another reason to keep peering at their handset even while sitting in the movies. 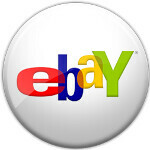 The eBay app for Android is a free download and requires an Android device running 1.6 or higher which is just about every Android handset out there. If your Android handset doesn't qualify, consider this a hint that it's time to upgrade your device. yay we can't let iphone have all the glory with ebay app.